Iseult Honohan is Senior Lecturer in the School of Politics and International Relations, University College Dublin. Her research interests lie in normative political theory, with a focus on the foundations of republican theory and its application to areas including citizenship and migration. 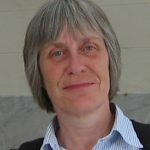 In the former, her publications include Civic Republicanism (Routledge, 2002), and, in the latter, articles on modes of access to citizenship, and family reunification for migrants.